Being able to burn an ISO image should not be as difficult as it sometimes is. Being able to burn them should actually just be a standard feature in Windows. Of course there are hundreds of things a person could list that should be included. We can get this feature by adding a the free 3rd party application ISO Recorder V3. This handy utility is developed by Alex Feinman and he will gladly accept donations on his site. 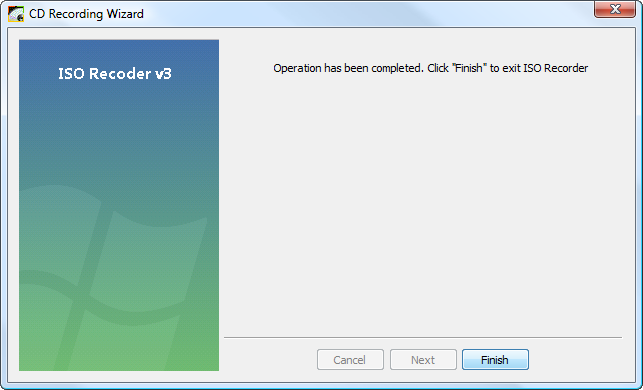 After you download and install ISO Recorder you just need to locate the ISO image you want to burn. Right click and select Copy image to CD. This opens up ISO Recorder so you can verify the image path or choose a different ISO file and adjust the recording speed to burn the image. 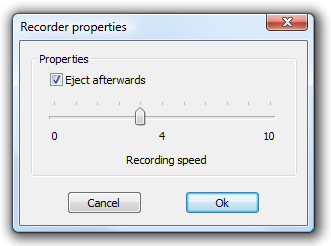 Also by going into Properties you can fine tune the recording speed and have the disc eject when it is done. 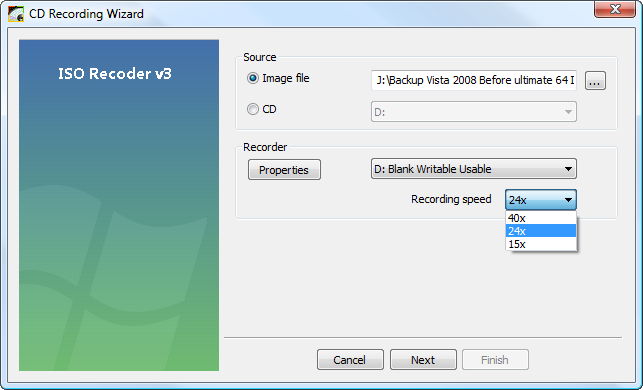 For data discs like a Linux OS it is better to record at a slower speed to avoid errors. When you have all the setting how you like click on Next and the burning process will start. 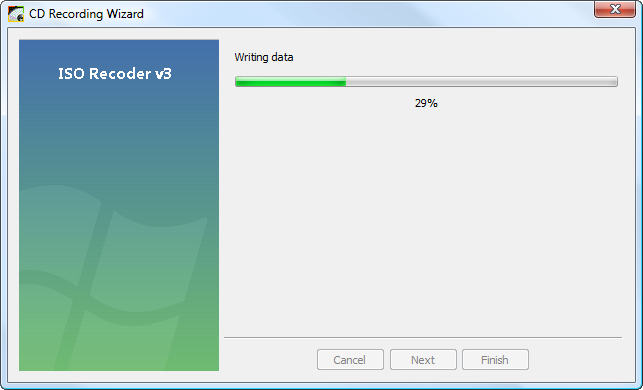 A progress screen will pop up indicating the data is being written and when it is being finalized. The finish disk pops out and another successful image burn has been completed, click Finish. That is all there is to it! This makes the process extremely quick and easy. 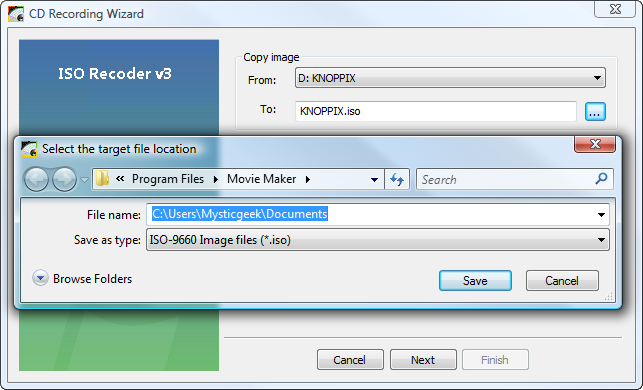 ISO Recorder Version 3 does support DVD’s and can be downloaded in x32 and x64 bit. 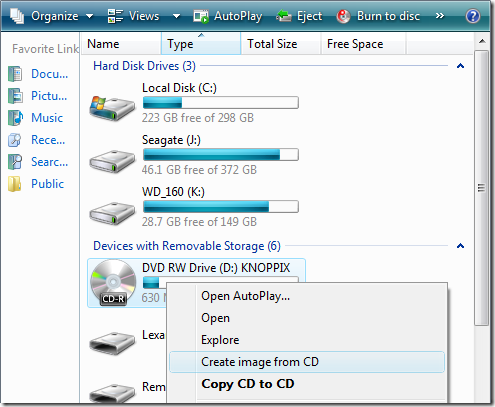 Now, to create an ISO image from a disc just pop the CD or DVD into your optical drive, right click on the drive and choose Create image from CD. Again ISO Recorder pops up so you can choose a directory to place your new ISO image then click Next and you have your ISO image!